Nearly two-dozen physician investigators from the Winship Cancer Institute of Emory University will present their research at this week’s American Society of Clinical Oncology (ASCO) meeting in Chicago, May 30-June 3. The conference will attract more than 25,000 oncology professionals from around the world and will mark the 50th anniversary of the gathering. More than 5,000 annual meeting abstracts will be released during the session including promising data for a new lung cancer treatment that is being tested at Winship. Suresh Ramalingam, MD, director of Winship’s Translational Thoracic Malignancies Program, is an author on the phase I clinical trial study which is looking at the effect of an experimental lung cancer drug on patients with advanced non-small cell lung cancer. Early results show that the drug is effective in more than 60 percent of the patients who are no longer responding to other current treatments. Winship experts will present data on other cancer research developments including new approaches to patients with metastatic colorectal cancer, the use of chemotherapy before surgery in patients with triple-negative breast cancer, and a report on the use of radiation in small cell lung cancer. 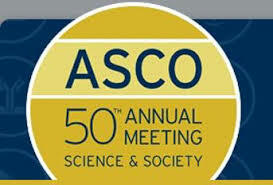 For a complete list of ASCO abstracts go to abstracts.asco.org.